BOND: TRIGGER MORTIS Review | Warped Factor - Words in the Key of Geek. 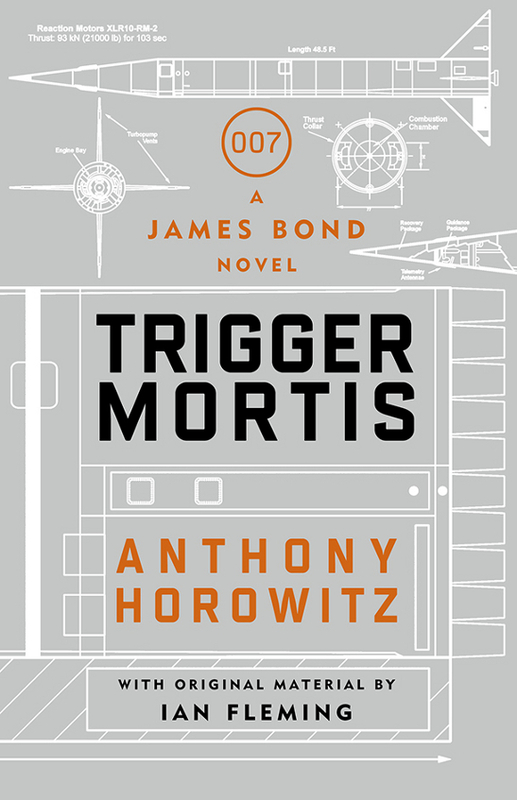 Matthew Kresal reviews the latest James Bond novel, Trigger Mortis. Well before the Bond films became one of the most successful movie franchises of all time, there were the novels. Ian Fleming wrote more than a dozen Bond novels, not including two short story collections which served as the foundation and occasional source material for many of Bond's onscreen adventures. 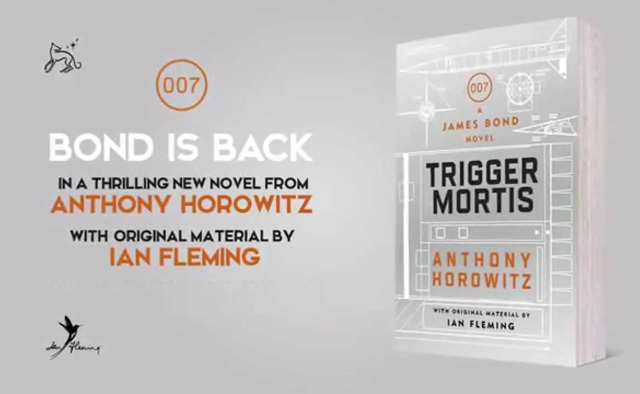 Now Anthony Horowitz, the author of the Alex Rider novels and the popular period detective series Foyle's War, has become the eighth Bond continuation author with Trigger Mortis. Set in the late 1950s and picking up weeks after where the novel Goldfinger ended, it promises to be at least intriguing at least. Is it any good though? It seems that whenever a new Bond novel comes out, the media forgets that since Ian Fleming's death more than a half century ago, and with an almost unbroken run between 1981 and 2002, Bond's literary adventures have continued. Seven authors have continued Bond's adventures, sometimes in the present day and sometimes in the 1960s. Horowitz does something different and very dangerous: his novel is set in-between Fleming's and shortly after the events of Goldfinger. Once the opening sixty pages or so tie-up Goldfinger's loose ends and set up the initial plot, Horowitz's tale takes Bond first to the Nürburgring race track in Germany working against Cold War foes SMERSH, before the plot takes him to the United States and ties into the space race that was getting going at the end of the 1950s. It's a story that echoes not only Goldfinger but also Moonraker and, as a result, features a classic Fleming style plot that gives the book it's first mark of authenticity. Horowitz is the first to admit to being influenced by Fleming's works and anyone who has taken even a cursory glance at his Alex Rider books can see that. It's both not a surprise and an absolute delight that he's able to successfully capture Fleming's prose style. The section at Nürburgring (Chapter Seven: Murder On Wheels) is where the novel fulfills its claim of featuring original material by Fleming himself. It speaks to Horowitz's talents that one can not spot where Fleming starts and ends as the flow is seamless. Being familiar with Fleming's prose from reading the novels, as well as listening to BBC Radio 4's series of very faithful adaptations of them, I feel happy in saying that this might be the closest to Fleming's writing a continuation novel has yet reached. Much has been made by some reviewers of the “political correctness” of Trigger Mortis. The occasions mentioned have been taken out of context and have, not surprisingly, been wildly exaggerated. Bond didn't sleep with every woman he came across in Fleming's novels (indeed in Moonraker he famously didn't get to bed Gala Brand at all). The novel is even-handed with how it treats its female characters especially. In giving the villain his background, Horowitz follows Fleming's formula of featuring a foreign villain working with the West's enemies, echoing Dr No and Hugo Drax especially, without falling into the more overtly racist elements that Fleming (being of his generation and writing when he did) often used. Does it veer a little on the side of “political correctness”? A bit but not to the extent that some have suggested or complained about. 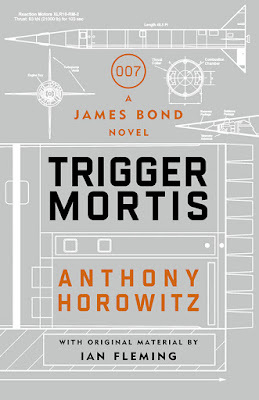 So how does Trigger Mortis stand up as a Bond novel? It's stylistically the closest thing we've had to Fleming since perhaps Amis' Colonel Sun, and it's as faithful a pastiche of Fleming as one is likely to get. As a result, it rides the fine line between being a pastiche of the writing of a man who died a half-century ago while also being accessible to modern readers. Thankfully, it rides that line beautifully and the results might just be the best Bond novel we've had in fifty years.